NEW YORK -- Martin Shkreli, the former hedge fund manager under fire for buying a pharmaceutical company and ratcheting up the price of a life-saving drug, is in custody following a securities probe. Calls to an attorney who has represented Shkreli in the past were not immediately returned. His arrest was confirmed Thursday by FBI spokeswoman Kelly Langmesser. 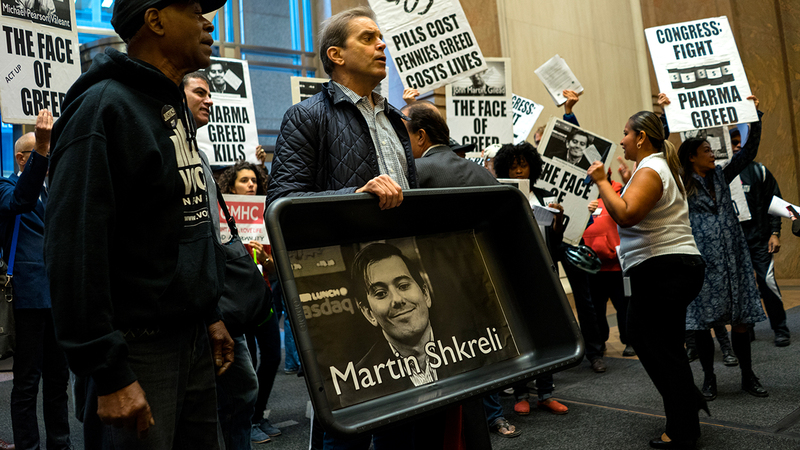 Shkreli stirred public outrage earlier this fall when his company, Turing Pharmaceuticals jacked the price of a drug used to treat a life-threatening infection by more than 5,000 percent. Turing raised the price on Daraprim, a 62-year-old drug whose patent expired decades ago, from $13.50 to $750 per pill. The drug is the only approved treatment for a rare parasitic infection called toxoplasmosis that mainly strikes pregnant women, cancer patients and AIDS patients. Shkreli said the company would cut the drug's price. Last month, however, Turing reneged on its pledge. Instead, the company is reducing what it charges hospitals for Daraprim by as much as 50 percent. Most patients' copayments will be capped at $10 or less a month. But insurance companies will be stuck with the bulk of the tab, potentially driving up future treatment and insurance costs. Turing, with offices in New York and Switzerland, spent $55 million in August for the U.S. rights to sell Daraprim. The uproar over Turings' pricing actions and similar moves by other companies helped start government investigations, proposals by politicians to fight "price gouging," heavy media scrutiny and a drop in stock prices for biotech companies. However, the price of KaloBios Pharmaceuticals shares surged from around $2 to above $40 after the struggling cancer drug developer named Shkreli chairman and CEO in November. The South San Francisco, California, company had been winding down operations when Shkreli and the group swooped in to take control and committed to a $10 million equity financing facility. Shares of KaloBios Pharmaceuticals Inc. shed more than half their value, or $12.56, to $11.03 shortly before markets opened Thursday.